Latest news! 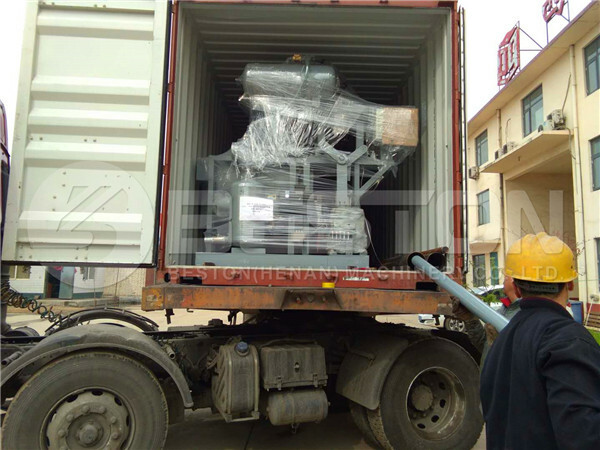 The four-sided egg tray making machine to Hungary is ready to be shipped. 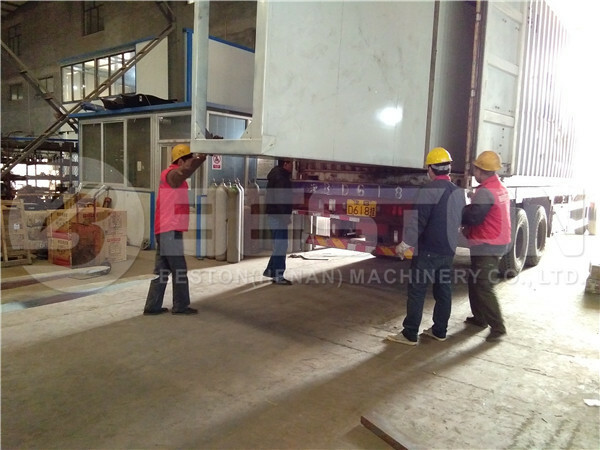 Because our customer chose a multi-layer metal drying line, it will be more convenient to install. Also, it will be more efficient and land-saving to lower your investment costs. Moreover, this is the second egg tray production line we installed in Hungary. Hopefully, there will be a profitable egg tray manufacturing business in Hungary very soon. 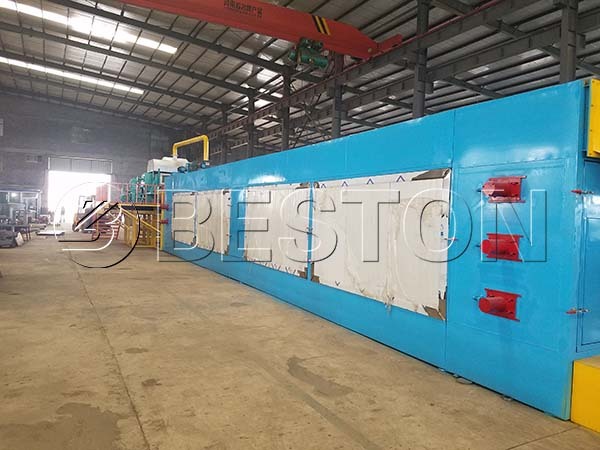 The metal drying line from Beston is fully automatic, which is easy to operate. Meanwhile, it is very convenient to install to save your construction costs. 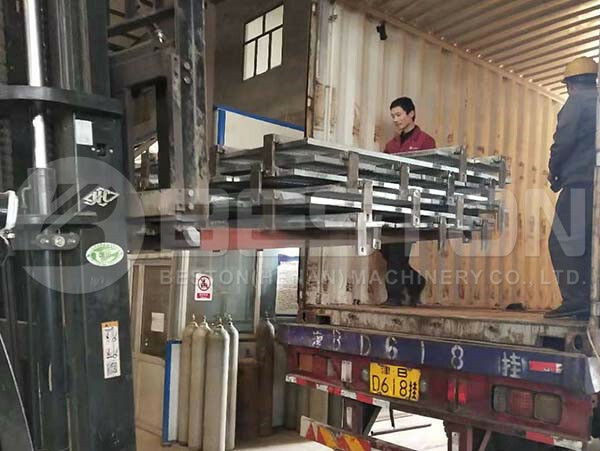 Moreover, if there are no bricks available for you, the metal drying line is your best choice. And if you need to change the workshop place frequently, it is easy to transport and move. 2. More efficient and cost-effective. We have a specific design of the metal drying line to make sure the heat inside the drying room evenly and controllable. Also, it is multi-layer to make the drying room small. In this way, your egg tray production line will be more efficient. 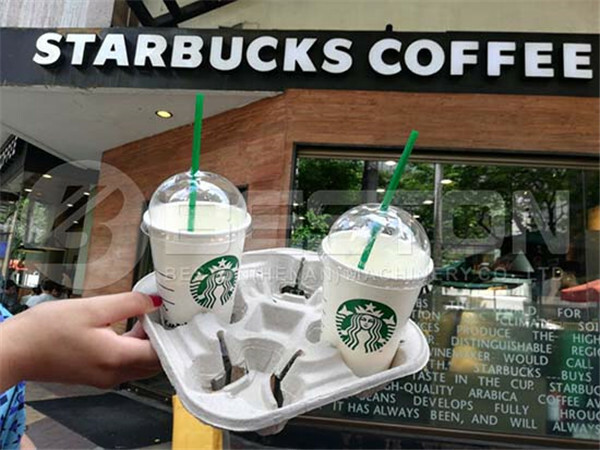 Moreover, it can recycle the heat inside to save the fuel costs. So the operating costs will be more affordable. 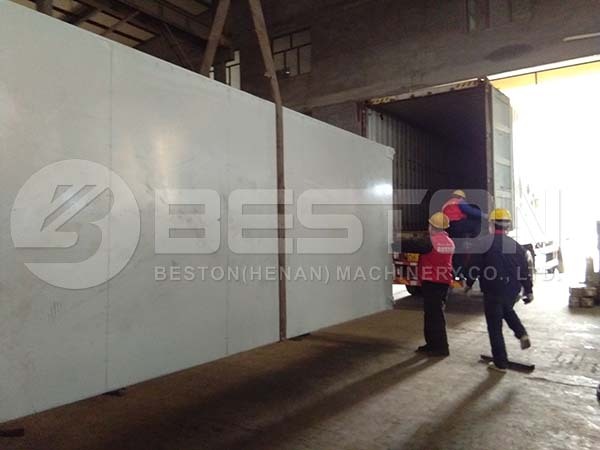 Compared to the brick drying line, it can greatly save the space because it can be multi-layer. Also, you will save much money on construction work and space. Beston Group aims to lower your investment costs all the time. Although the metal drying line is expensive, it is cost-effective in the long run. That’ s why it is getting popular among investors. Of course, Beston Machinery also has the other drying modes to choose from. If you want to watch some videos of different drying lines, please check Beston Youtube Channel. In order to get the most suitable egg tray manufacturing business plan, please contact us now! 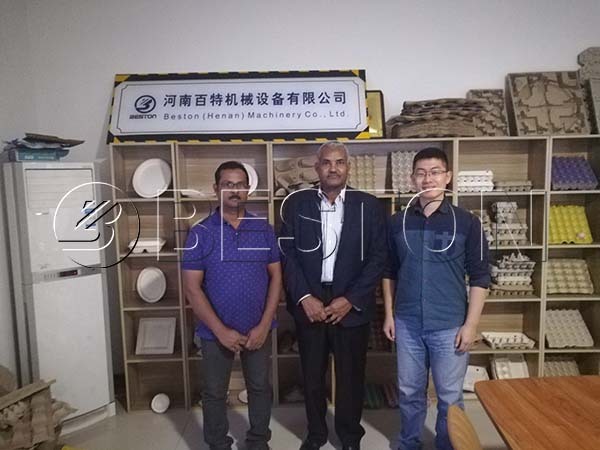 Last week, our customers from Saudi Arabia came to visit Beston Factory. 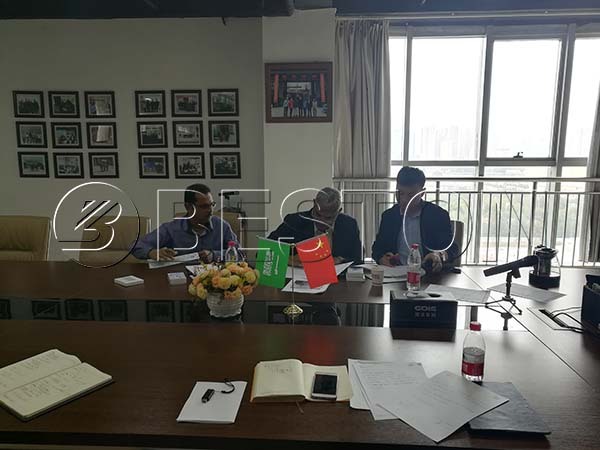 After checking the egg tray production line in the factory, they were very satisfied and finally signed a contract with us. 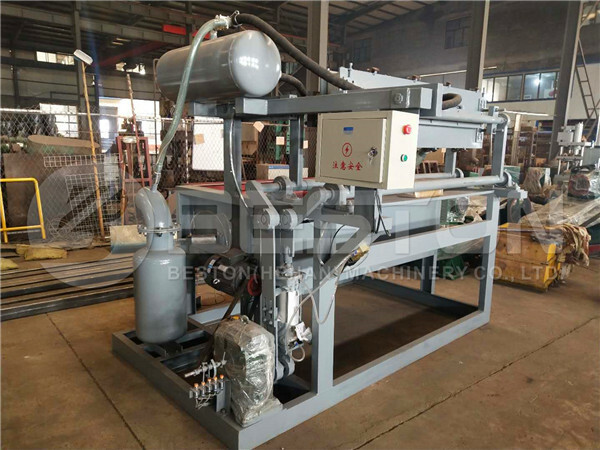 They ordered a BTF-5-8 automatic egg tray making machine with a metal drying line. This will be an efficient production line, whose hourly capacity is more than 5000 pieces/h. How to Choose A Suitable Egg Tray Drying Line? 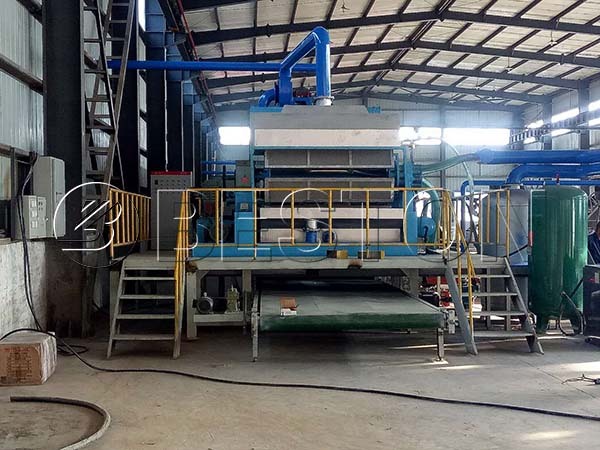 The egg tray manufacturing machine can be equipped with different drying systems according to the real conditions, including the fuels, space, etc. For now, there are four different drying systems to choose from. 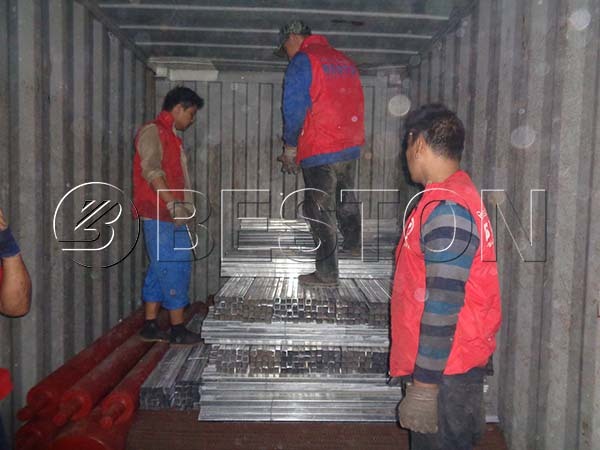 More importantly, Beston can customize the production line on the basis of your requirements. For example, we can use charcoal, coal, diesel, gas, etc. as fuels. So you’d better know clearly about the available and cheap fuels in your place when you choose an egg tray machine with a dryer. Meanwhile, we can design multi-layer drying line to save your space. Anyway, Beston will provide you with the most suitable business plan under considering your budget, scale, labor force, fuel, etc. 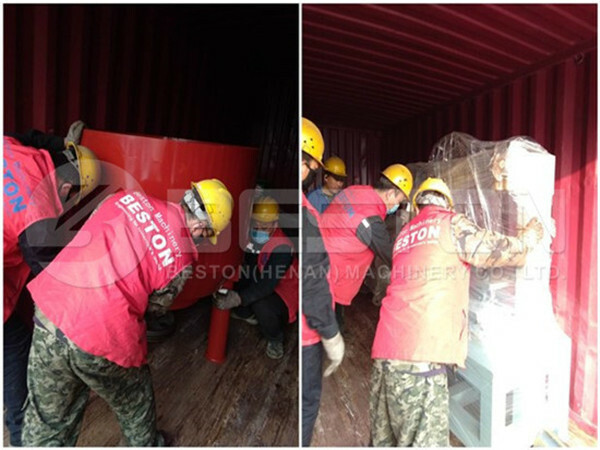 In addition, Beston Group cooperates with many high-quality manufacturers of components, such as electrical equipment, etc. While we can also equip with the brand as customers required. What we do is to maximize your returns. If you want more details, please contact us now! 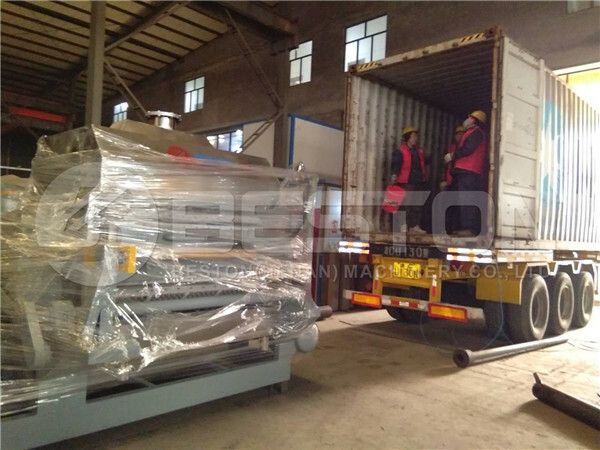 Last month, two BTF-4-4 and a BTF-5-8 egg tray making machines, as well as a variety of accessories, were shipped to Dominica. In the near future, our experienced engineers will be there too for the installation. We are looking forward to more good news from our Dominican customer. 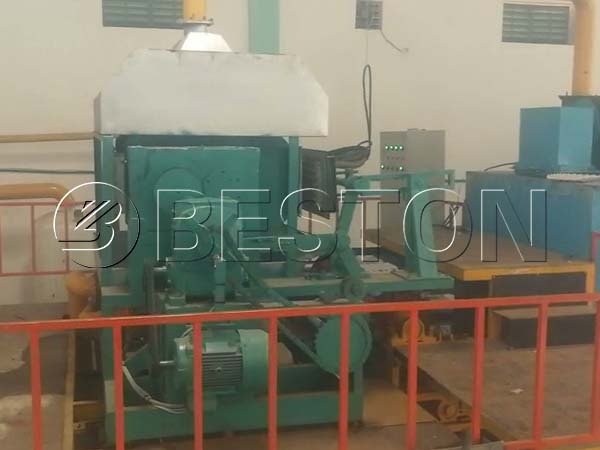 Beston has 10 models of egg tray making machines for sale, of which the hourly output ranges from 1,000 to 9,000 pieces/h. 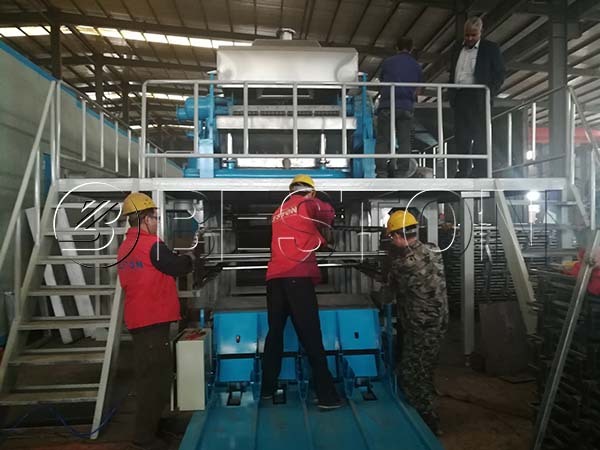 Among them, the output of BTF-4-4 paper egg tray making machine is 2200 to 2500 pieces/h, while BTF-5-8 can produce at least 5,000 pieces of egg trays per hour. That is to say, once the egg tray production line in Dominica is put into use, the hourly yield is more than 10,000 piece. Moreover, we are confident with the high quality of the egg trays made by our egg tray machines. 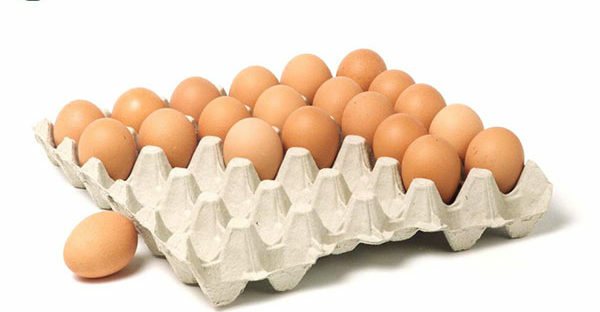 So we believe our client will be a top egg tray manufacturer in Dominica even among the neighboring countries. Besides, as far as we know the plastic packaging has been banned in many countries, which means there is a vast market of pulp molded products. Hence, investing in a pulp molding machine will be a wise idea. In addition, there are rich and cheap raw materials, including waste paper and agricultural wastes there. Of course, we also provide the best price to lower their initial investment costs. Meanwhile, our engineers also made a design to make full use of the space. So the egg tray factory will be very profitable. 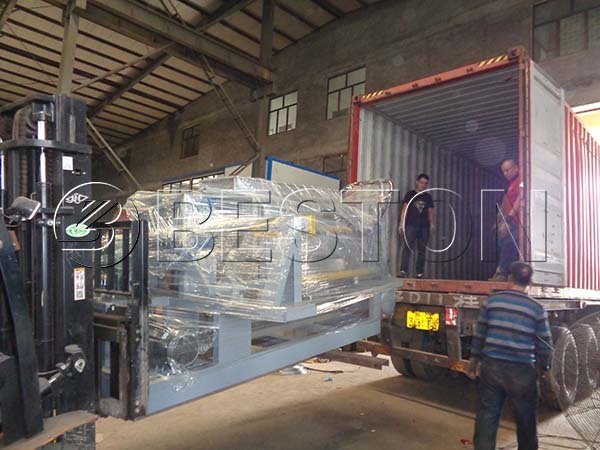 In these years, we have exported many egg tray machines around the world. More importantly, we have got a lot of regular customers with high reputation. Just contact us to start a promising egg tray manufacturing business! Several days ago, we have received a video from our customers from Mali. From the video, we know that the egg tray machine has been put into use smoothly. Even more exciting, our customers spoke highly of our product and service. As they said, they are very satisfied with the egg tray quality and the easy-to-operate making process. 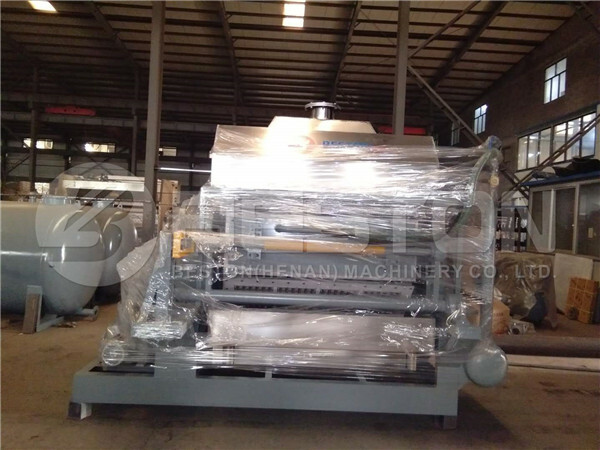 That is a four-sided paper egg tray making machine with the output of 2200 to 2500 pieces each hour. Because they employ a single-layer metal drying line, the whole production line is more efficient and easier to operate. As we can see, there is only one worker to pack the dried egg trays up at the end of the drying line. 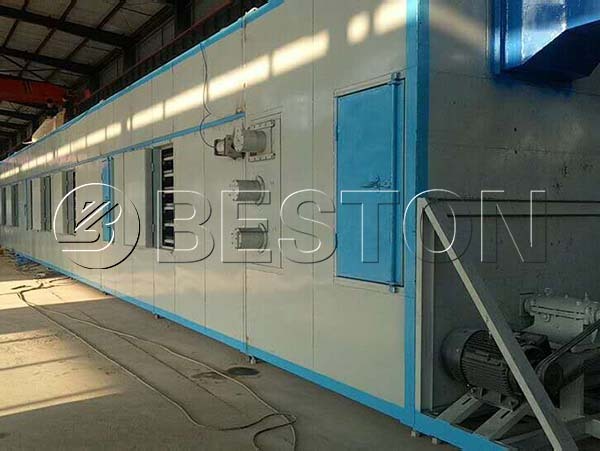 There are 4 different drying systems for the different egg tray production lines. They are natural drying line, brick drying line with carts, brick drying line with conveyor belt, metal drying line with a conveyor belt. And we can provide both single-layer and multilayer metal drying lines. In general, natural drying line and brick drying line with carts are suitable for small-scale egg tray machines with the output of fewer than 2000 pieces/h. While the latter two drying systems can be used with all models, especially the metal drying line. 1. Compact structure to save space. 2. Easy and safe to transport, install and operate to save labor force input. 3. High working efficiency to reduce your fuel costs. 5. Long service life to save your maintenance cost. 6. Wide application. If there is no brick in your area, you need a metal drying line. That’s why it is very popular among investors, even though it is expensive. 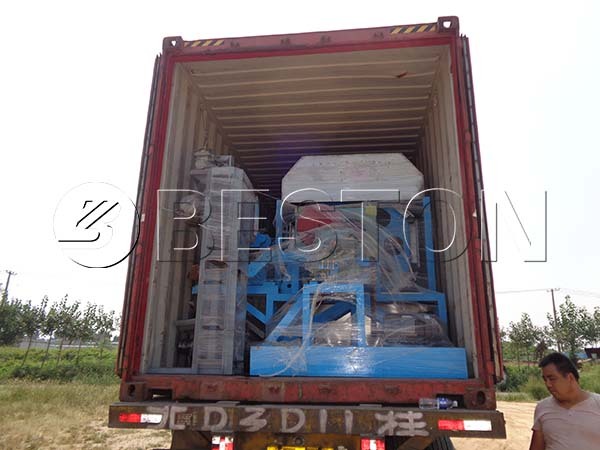 All in all, Beston Group has rich experience in manufacturing and exporting egg tray machines. If you have any questions, welcome to contact us! A few days ago, we received a video from our Egypt customers. 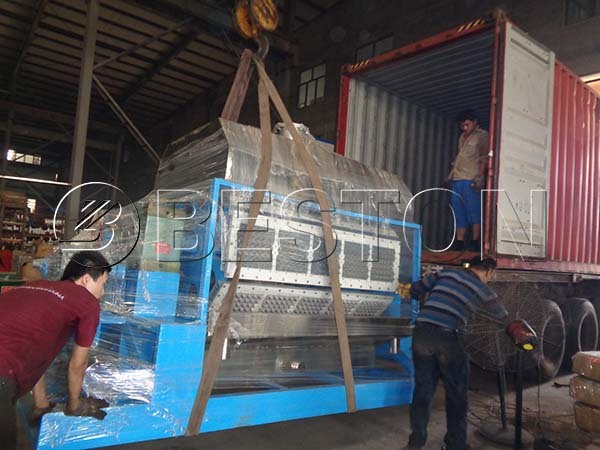 From the video, we are glad to know that our BTF-3-4 egg tray machine in Egypt is still in good condition. 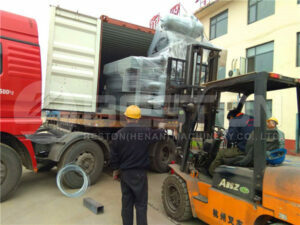 Here is a picture which was taken when the egg tray making machine was ready to be shipped. Our customers from Chile came to visit Beston Pulp Molding Machinery from August 12th to 14th. As we know, the customers are the largest supplier of plastic trays in Chile. However, the government advocates replacing the plastic packaging products for environmental protection. On this occasion, they try to find a new business opportunity. There is no doubt that the pulp molding production line will be a great choice for them. In the factory, our engineers showed them the pulp tray making process on site. Meanwhile, they also checked the various molds and end products. 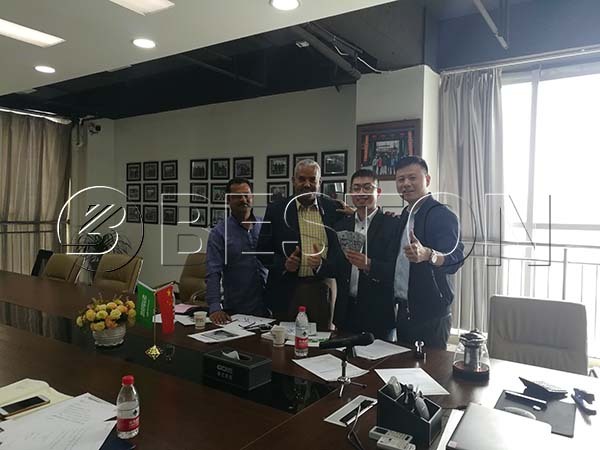 And they were very satisfied that it is easy to demount the molding dies to produce different pulp molded products with the same production line. We are looking forward to further cooperation soon. 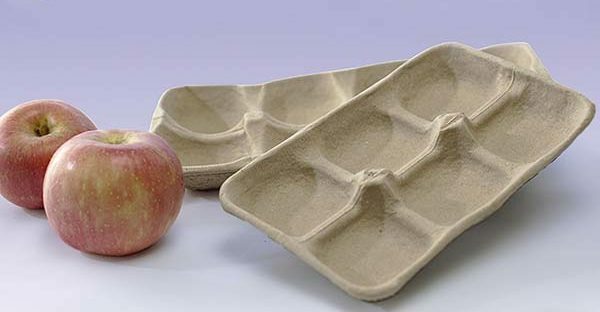 In this greener environment, pulp molded products are the best alternative to plastic packaging products. So the pulp molding machine is getting popular among investors. 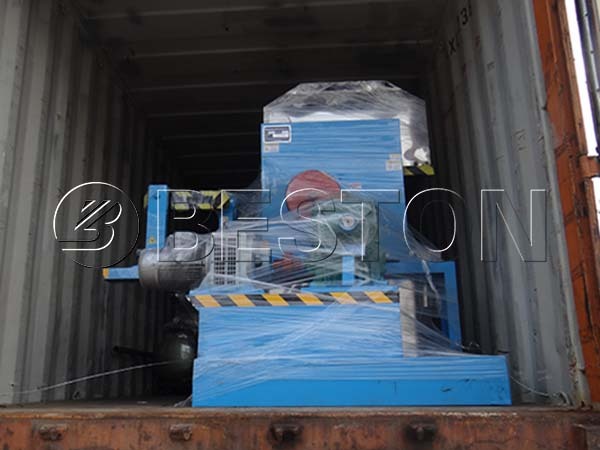 Among numerous pulp molding machine manufacturers, Beston is highly recommended because of the advantageous features below. Moreover, there is a wide market of pulp molding products. 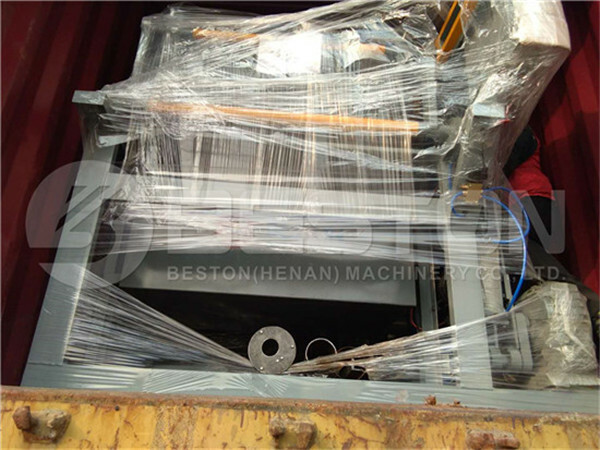 Thus, it is profitable to invest a pulp molding machine, which is also very easy and safe to operate. 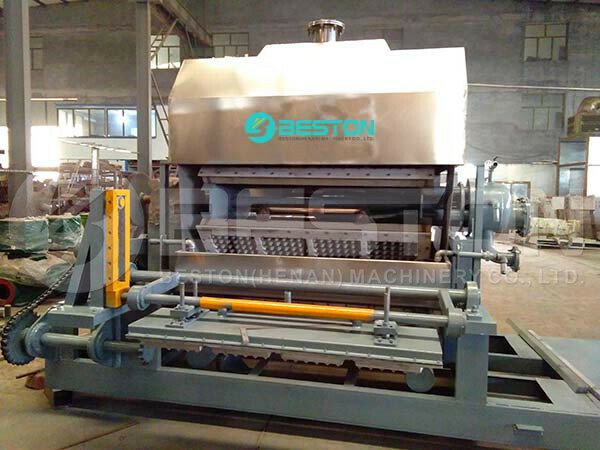 Even though you are a first investor, you can start a pulp tray manufacturing business with the help of Beston Machinery. Welcome to contact us now!